Rapid curing with good thermal and acoustic insulation properties. Expands to 30 times the initial volume. Ideal for filling around door and window frames, pipe penetrations and where DIN 4102 B2 fire class is required. Excellent yield and adhesion on most substrates. Suitable for both indoor and outdoor use. 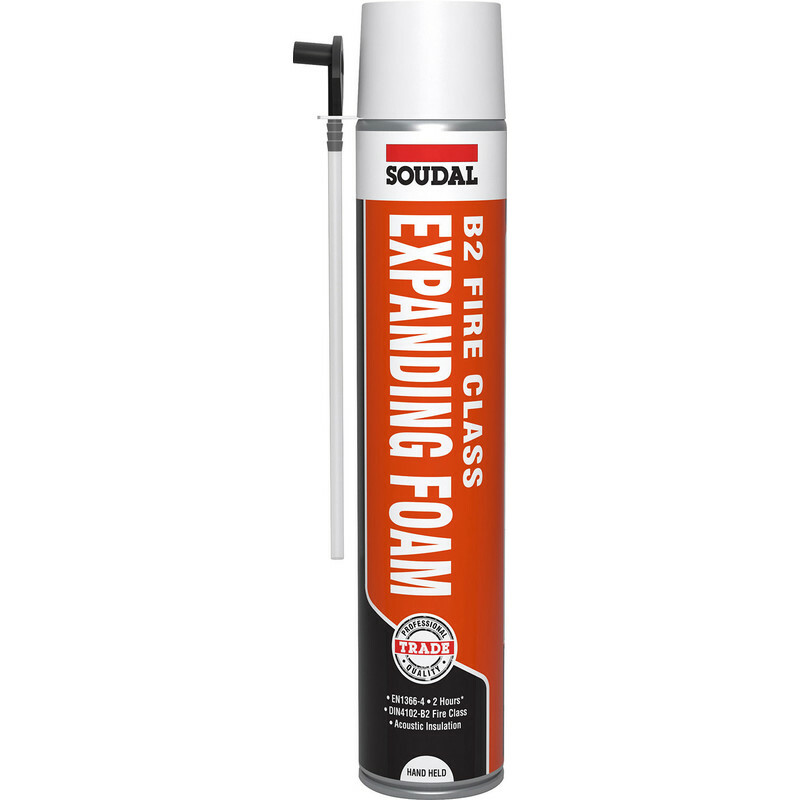 Soudal B2 Expanding Foam Hand Held 750ml is rated 4.8 out of 5 by 4.